With SCE’s help, diesel-powered cranes, tractors and LNG trucks are going electric as part of the port’s zero-emissions goal. SCE President Ron Nichols talks about the utilities' efforts to help electrify transportation and equipment at the Port of Long Beach. 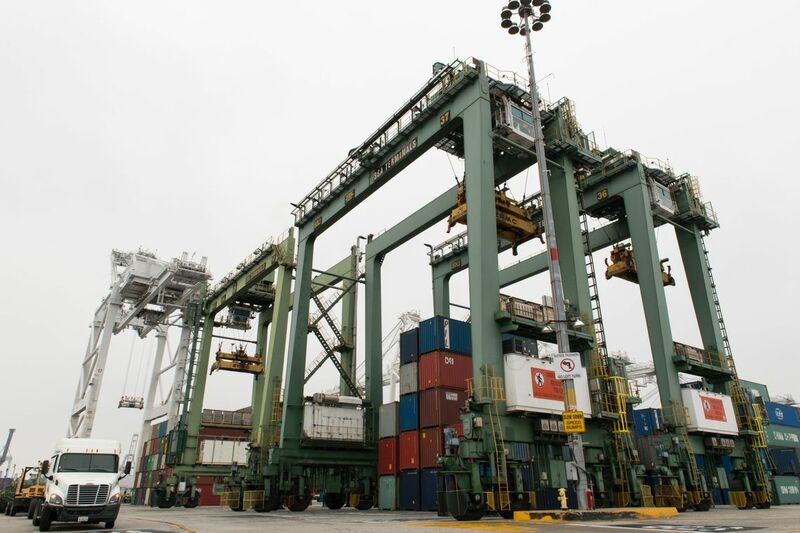 Forty years ago when rubber tire gantry cranes were first used at the Port of Long Beach, they were the latest thing in technology to move cargo containers around the port. But the 80-foot-tall green cranes with their 1,000-horsepower diesel engines guzzled 10 gallons of fuel an hour and spewed dirty emissions into the air. The port, working with Southern California Edison, is hoping to help solve that problem with a demonstration project to electrify nine of the gantries at one of its terminals. 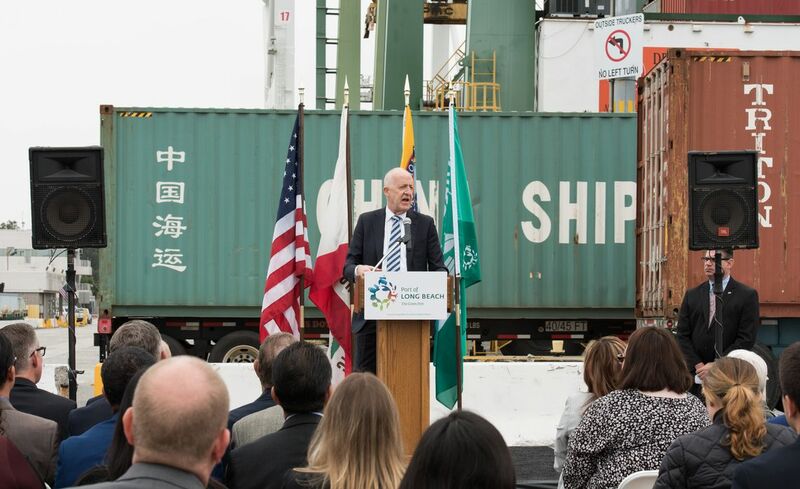 SCE President Ron Nichols said the port transportation electrification project is part of the company’s initiative to help meet the state’s goal of reducing greenhouse gas emissions by 40 percent from 1990 levels by 2030 and 80 percent by 2050. “SCE’s vision for a clean energy future means partnering with the port and other SCE customers to electrify transportation as well as working hard to make sure the electricity that we provide to power those vehicles is produced with clean renewable resources,” Nichols said. 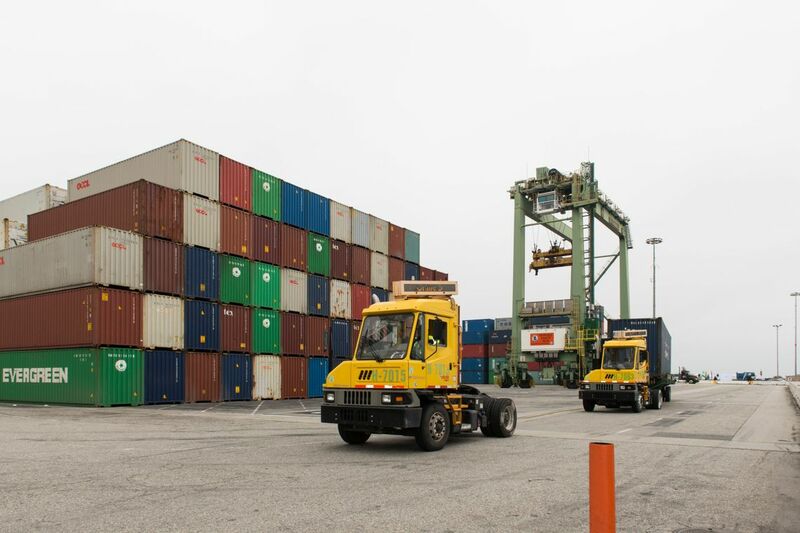 The port is participating with SCE in a $3.5 million pilot project recently approved by the California Public Utilities Commission to install electrical infrastructure for the gantries and two dozen charging stations in the port’s freight yards for electric yard tractors. 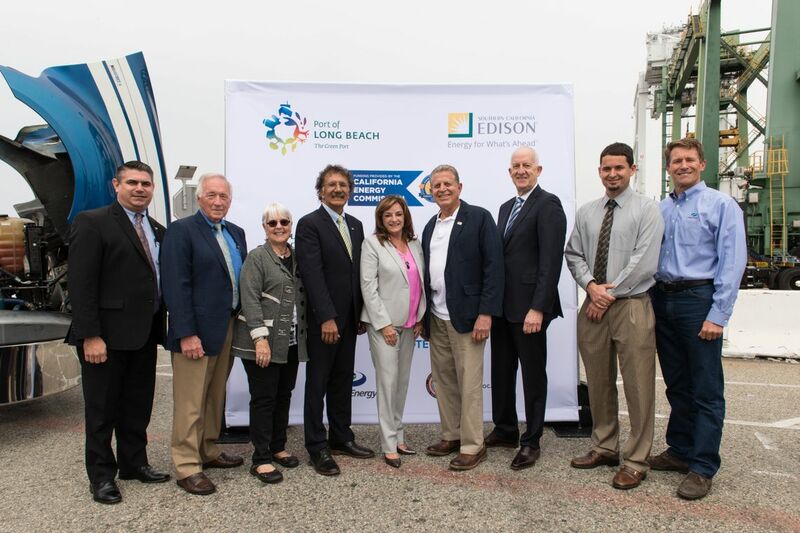 In addition, the California Energy Commission provided a $9.7 million grant to help fund the gantries as well as 12 battery-electric yard tractors at two more terminals and the conversion of four LNG trucks to plug-in hybrid electric trucks for a drayage trucking firm. Port Executive Director Mario Cordero called the electrification project part of the fourth industrial revolution to use technology to make a cleaner port. “Our green port is getting even greener, getting faster and getting more efficient,” Cordero said Wednesday during an event announcing the new project. Overall, the project is expected to reduce greenhouse gases by more than 1,323 tons and smog-causing nitrogen oxides by 27 tons each year. The switch to zero-emissions equipment is expected to save more than 270,000 gallons of diesel fuel. 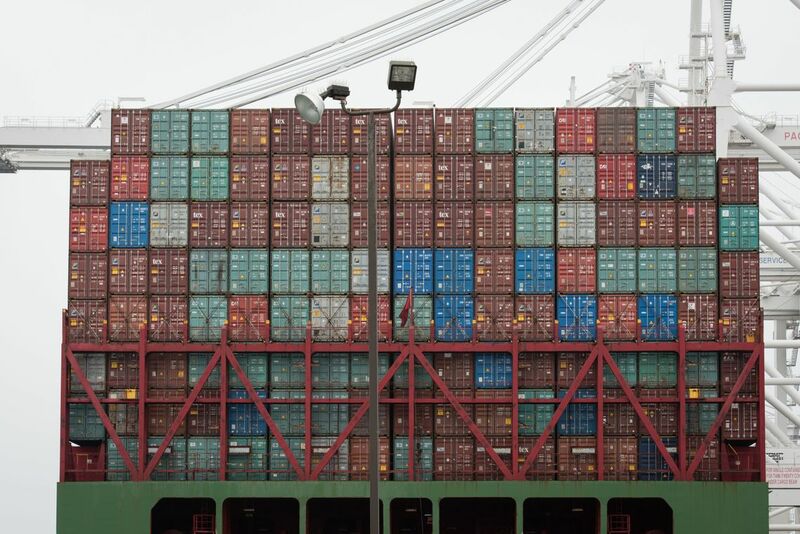 Officials hope it will become a model for ports around the world. This is just the latest in SCE’s work with the Port of Long Beach. The utility previously funded electric infrastructure for the Middle Harbor Terminal Redevelopment Project to help create the world’s greenest container shipping terminal and provided the infrastructure to power ships with electricity at berth so they don’t have to use diesel-burning engines. The new port project is part of SCE’s focus on the electrification of transportation as a key element in creating a cleaner energy future. In January, the utilities commission approved three other SCE pilot projects, including a rebate for customers for the cost of installing a charging station at home, charging infrastructure for electric transit buses and installation of DC Fast Chargers in publicly accessible urban areas.